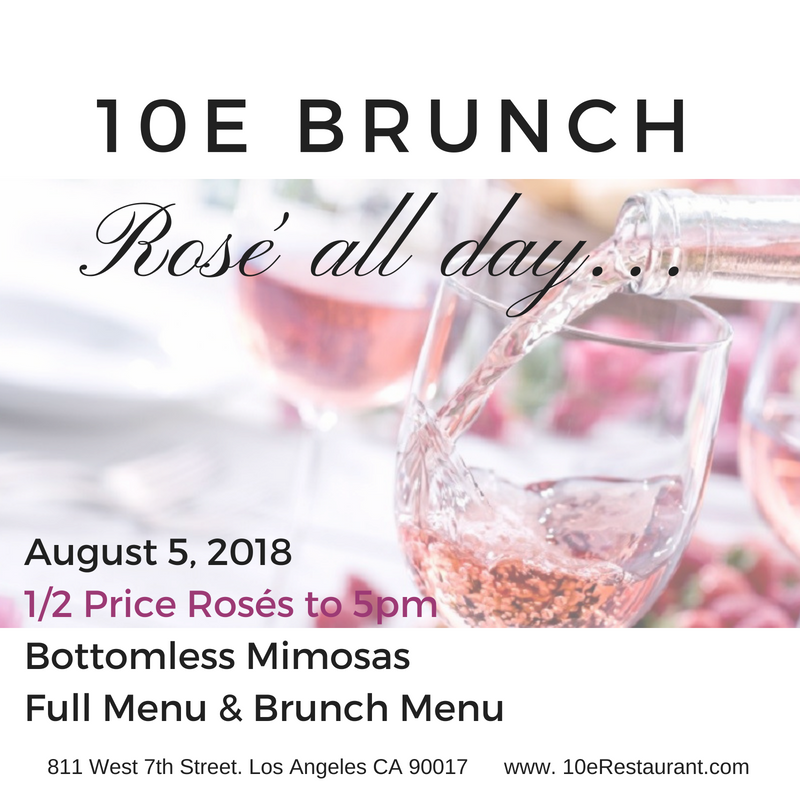 10e Brunch with Rose All Day! Join us August 5th for 1/2 price Rose wine, bottomless bubbles and brunch faves! Located in the heart of Downtown Los Angeles in the beautiful Historic Fine Arts Building.